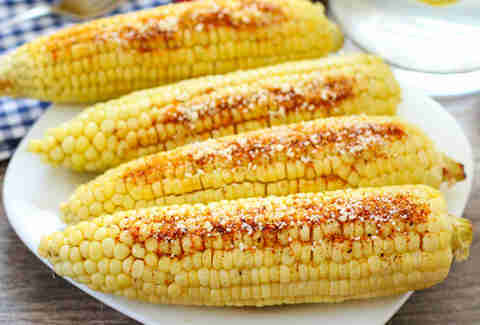 Whether you nibble it from left to right or gnaw on it all the way around, there’s no wrong way to eat corn on the cob. 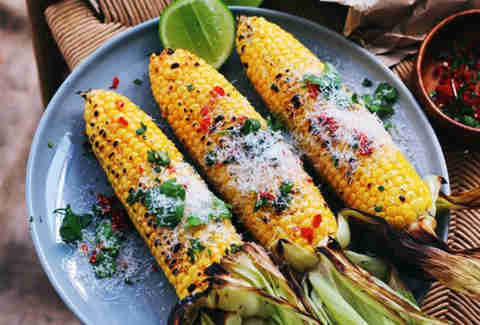 So to celebrate this seasonal veggie, we’ve rounded up 10 mouthwatering corn on the cob recipes, all insanely tasty no matter what direction you eat it in. 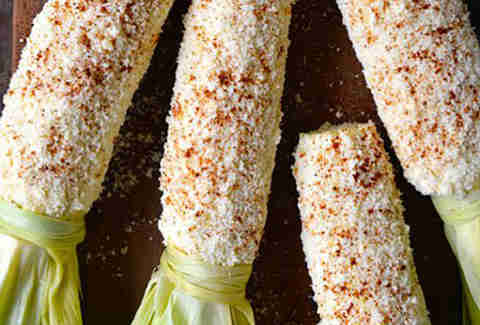 The corn’s natural sweetness shines, but a touch of chipotle seasoning and Parmesan cheese keeps things interesting. Recipe here. Kick lightly charred corn up a notch with a strong beer and Sriracha-based sauce. Try it here! Make your sweet corn even sweeter with a simple honey butter that whips up in under a minute. Recipe here. 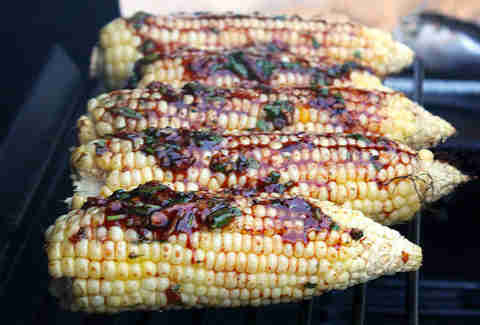 A touch of fancy truffle oil elevates backyard barbecue corn, and the red chilli and fresh coriander (aka cilantro!) bring a bright flavor and color to the mix. Recipe here. 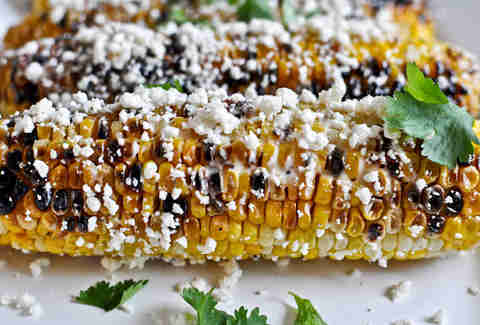 As if the bacon butter (simply crispy bacon rolled into soft butter) wasn’t enough to get us drooling, creamy cotija cheese and a char-grilled finish takes these kernels to the next level. Then repurpose that bacon butter. Grill it here! 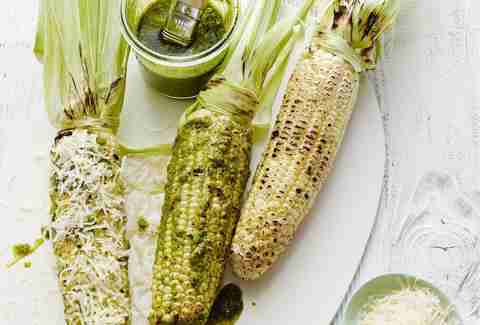 This Italian-inspired corn relies on a simple homemade basil vinaigrette and Parmesan cheese. Make it here. 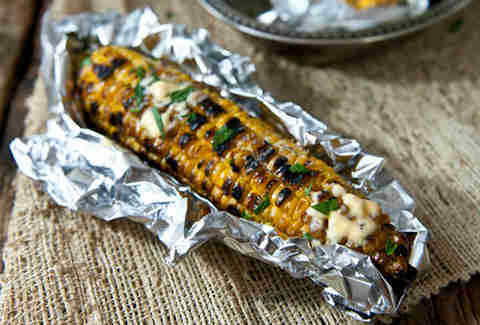 What’s better than one grilled corn recipe in one link? FIVE of them, obviously. Try out classic street, bacon-cheddar, pizziaola, garlic Old Bay, and/or toasted sesame styles here! 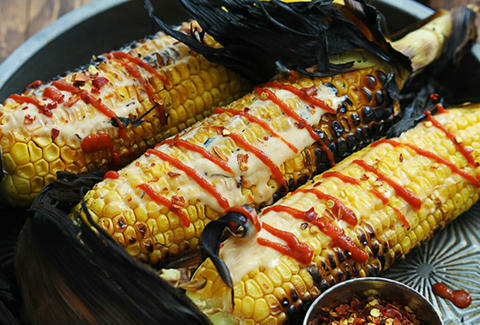 Grilled corn is smothered in a sweet and spicy Asian-inspired sauce of Sriracha, mayo, Dijon mustard, and honey. It’s here! While it grills, the corn is brushed with a dressing of soy paste, sweet chili sauce, and Sriracha, which creates a caramelized effect. It's a staple of Taipei night markets. Recipe here. Boiled corn doesn’t have to be boring -- smother it with roasted garlic aioli and a mountain of Parmesan cheese! Recipe here.